Ruth López brings to Penn Hill Group nearly a decade of policy experience, with a strong background in education policy and issues relating to English learners and disadvantaged communities. She applies her high-level content knowledge and skills to her research, writing, analysis, outreach and project management work. 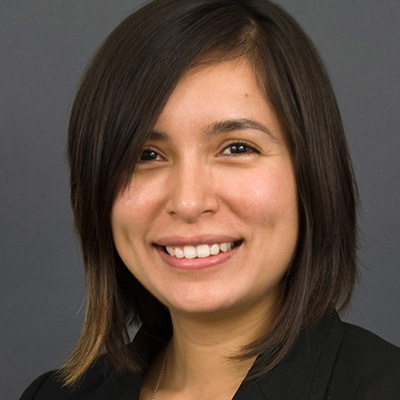 López provides policy analysis, research and coalition support on projects focused on teacher effectiveness, expanded learning and after-school policy, student financial aid, the Common Core State Standards Initiative, and the Elementary and Secondary Education Act (reauthorization and waivers). She also manages policy and advocacy trainings designed to bridge the divide between practice and policy for practitioners and constituents. López came to Penn Hill Group from Policy Strategies and Solutions, where she played an integral role in complex projects involving extensive research, coalition building, and policy analysis and development. Prior to that, López worked as a policy analyst at the Mexican American Legal Defense and Educational Fund’s National Public Policy Office. There, she handled key Federal policy priorities, including developing and advocating for policies that result in increased educational attainment among Latinos. López holds a bachelor’s degree in political science and Spanish with an emphasis on Hispanic languages and bilingual issues and a minor in education from the University of California, Berkeley. You can reach Ruth at rlopez@pennhillgroup.com.